Congratulations to the 2018 8th Grade Graduates! Welcome to the fpcw family! 7th and 8th grade youth participate in a two-year Confirmation process that helps students grow spiritually and emotionally. Students spend one year reviewing the basics of Scripture and another year expanding their knowledge of the Christian theology. 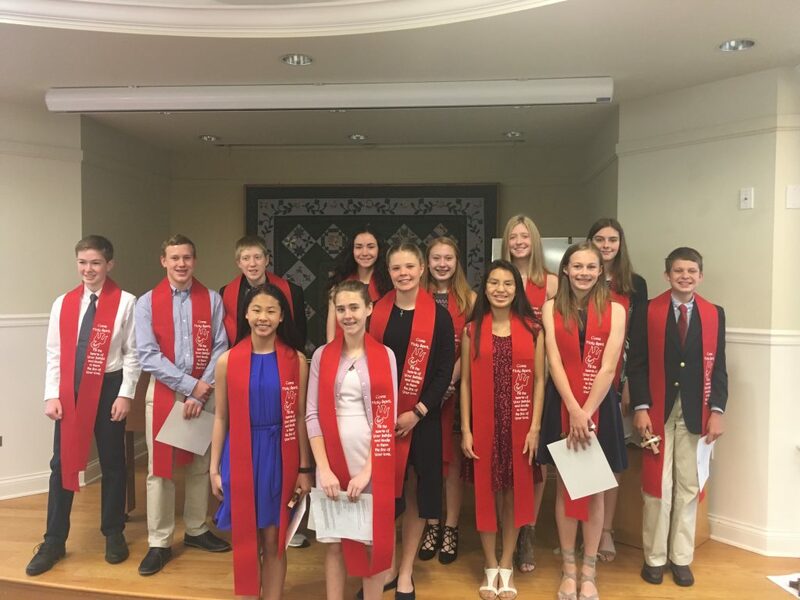 With the building blocks of Christian faith Confirmation students are prepared for Confirmation Sunday, at which time youth are invited into full membership of the Presbyterian Church (USA) through the confirmation rite. Students participate in weekly Confirmation class, worship, service, and fun fellowship. Join us Sunday mornings at 8:45 am in the Yellow Room followed by worship at 10 am.